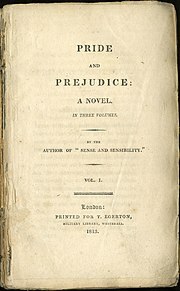 When Elizabeth Bennet first meets eligible bachelor Fitzwilliam Darcy, she thinks him arrogant and conceited; he is indifferent to her good looks and lively mind. When she later discovers that Darcy has involved himself in the troubled relationship between his friend Bingley and her beloved sister Jane, she is determined to dislike him more than ever. In the sparkling comedy of manners that follows, Jane Austen shows the folly of judging by first impressions and superbly evokes the friendships, gossip and snobberies of provincial middle-class life. If you fancy re-reading Pride and Predjudice we have lots of copies or why not download it as an eAudiobook and have it read to you. The written word is the only saviour this world needs. News and reviews for bookish people.